CrackBerry wants to gift one of their fans with brand new smartphone! 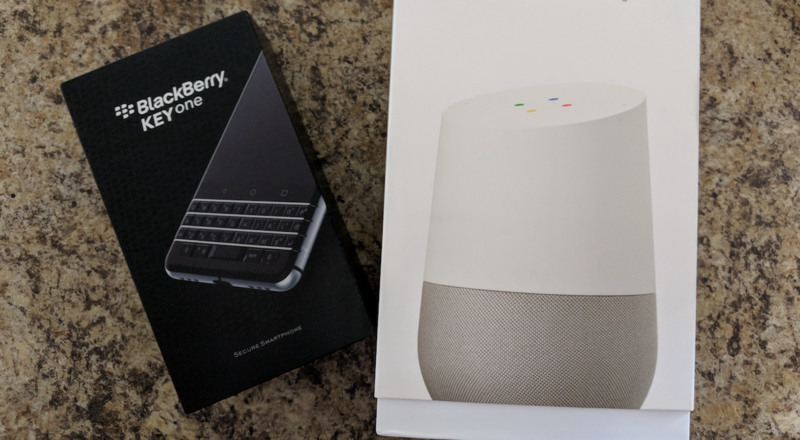 To enter in their latest BlackBerry KEYone and Google Home Giveaway grab your free entries by following few simple steps listed down below! The BlackBerry KEYone reimagines how we communicate with a Smart Keyboard that goes beyond typing. Up to 52 programmable shortcuts transform each key for quick access to your favourite apps (e.g. ‘I’ for Instagram, ‘U’ for Uber) and most important contacts. Touch navigation responds to touch gestures like a trackpad, to quickly scroll through your phone’s menue, webpages or emails. Flick typing offers predictive text, made even faster with the ability to flick words onto your screen as you type. The World’s first keyboard-embedded fingerprint sensor located in the spacebar provides added device security and convenience.